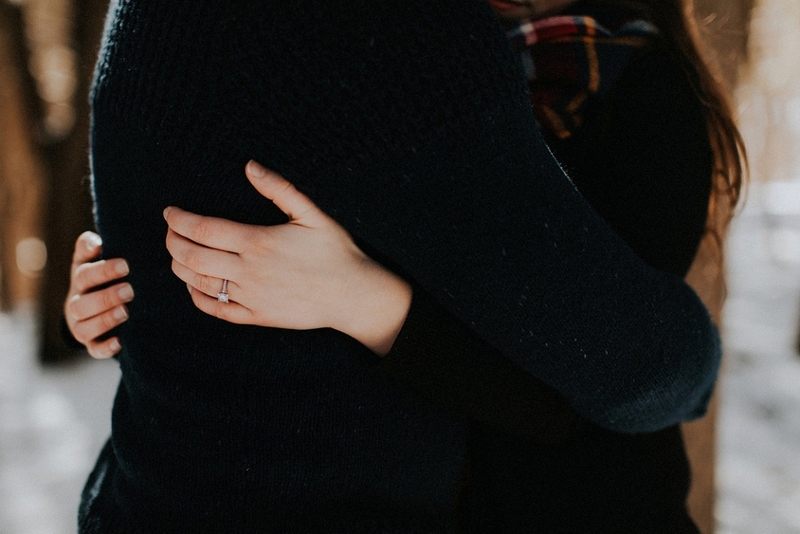 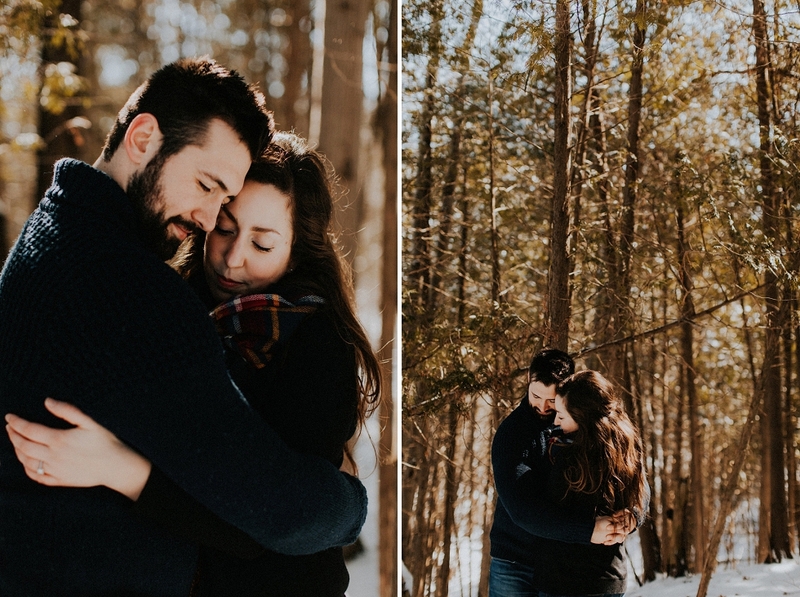 Jenni + Cody are planning an incredible backyard farm wedding in late September, and after we met for coffee last year they weren’t sure if engagement photos was something that would be in their future. 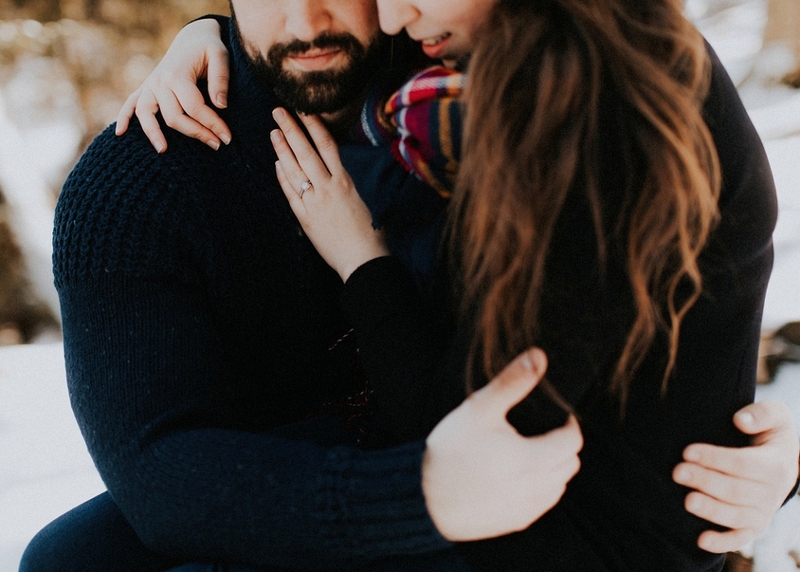 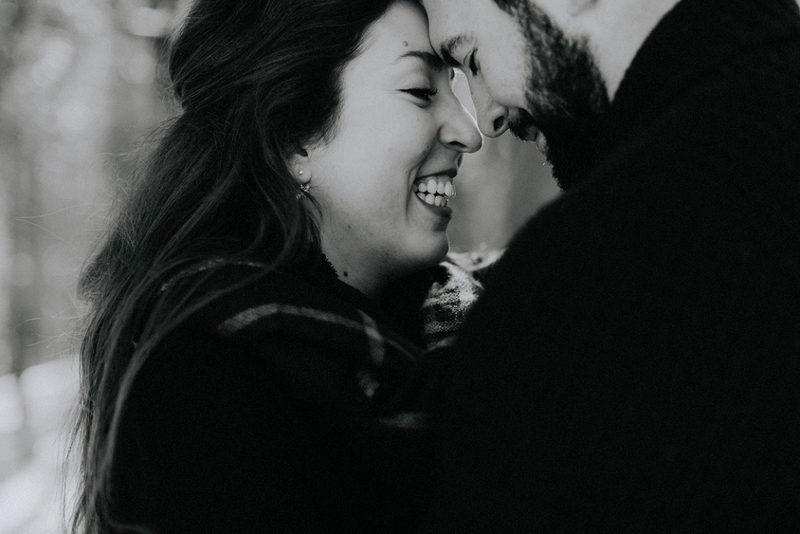 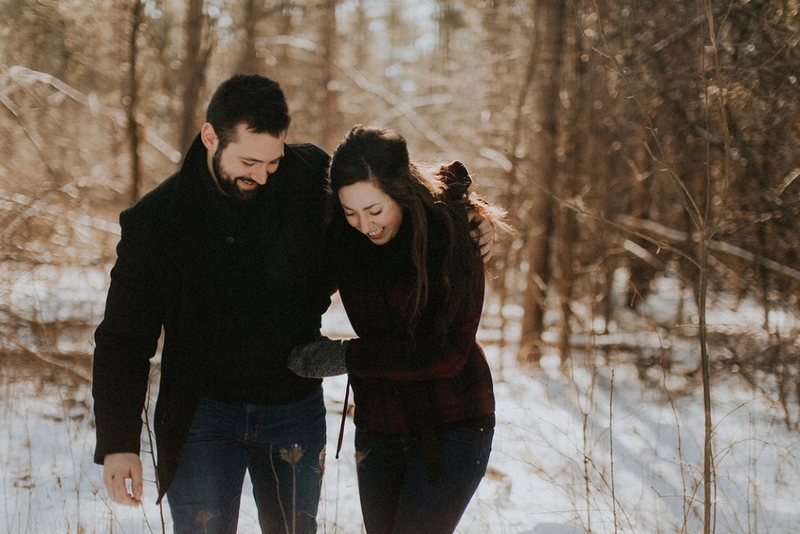 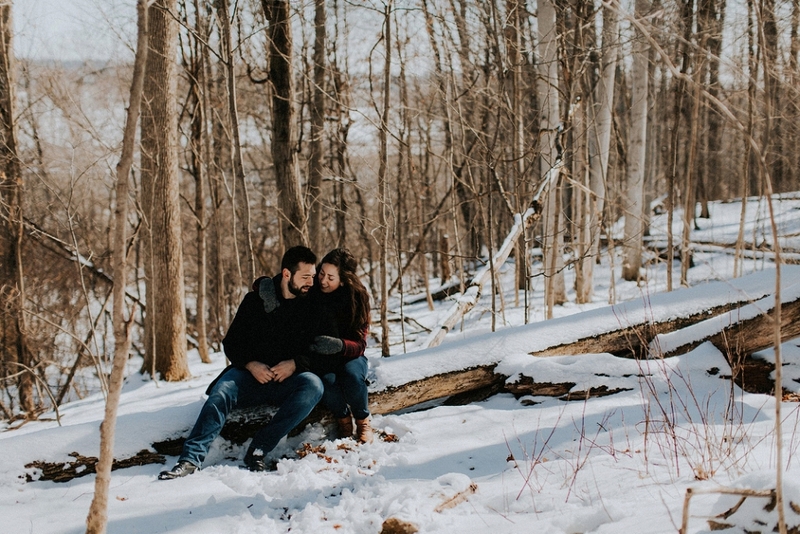 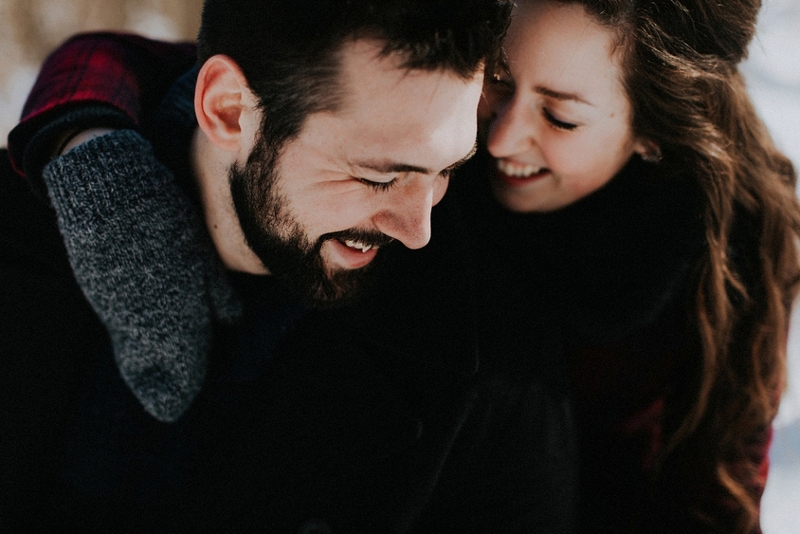 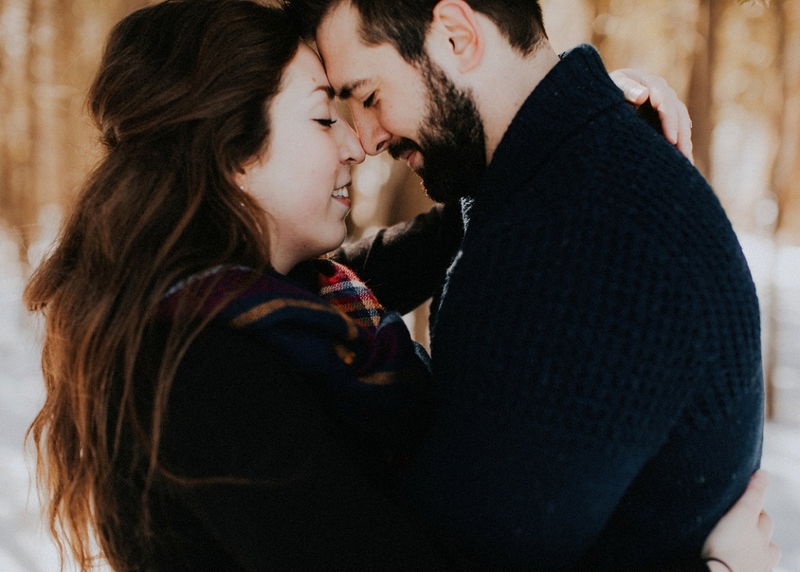 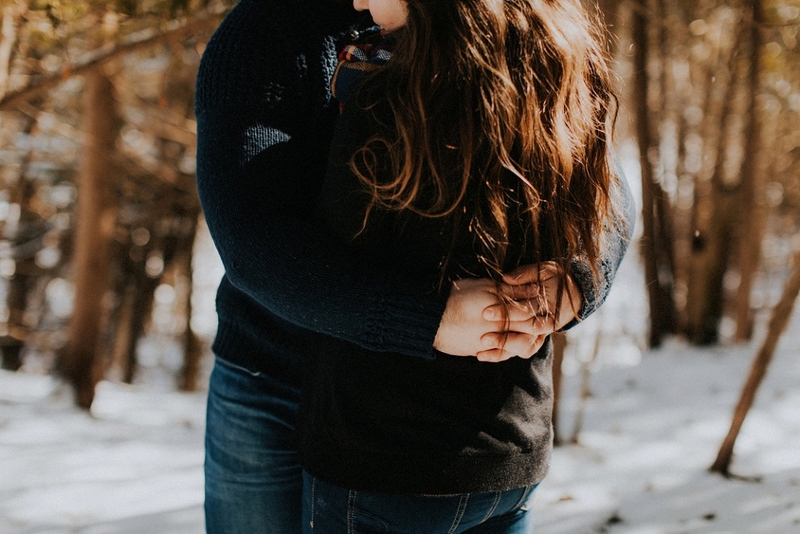 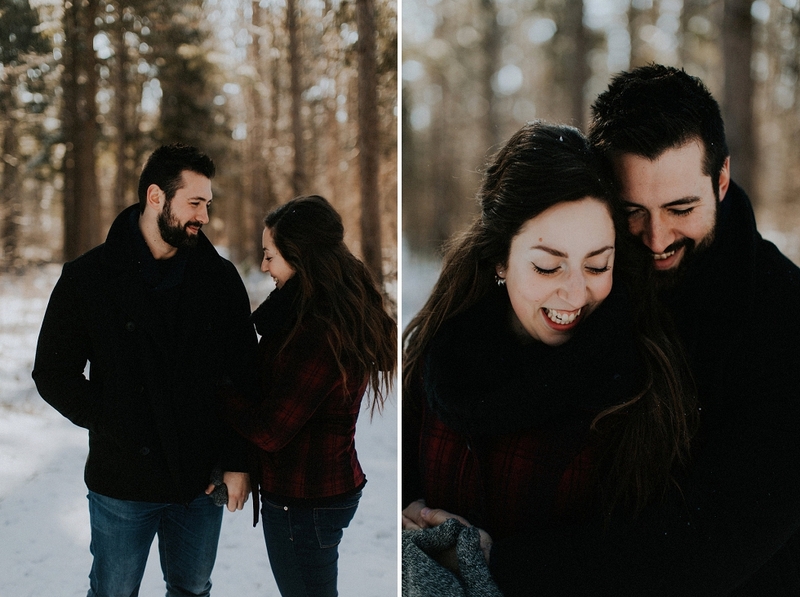 I personally love doing engagement sessions because it gives us a chance to hang out (oh heyyyyy!) 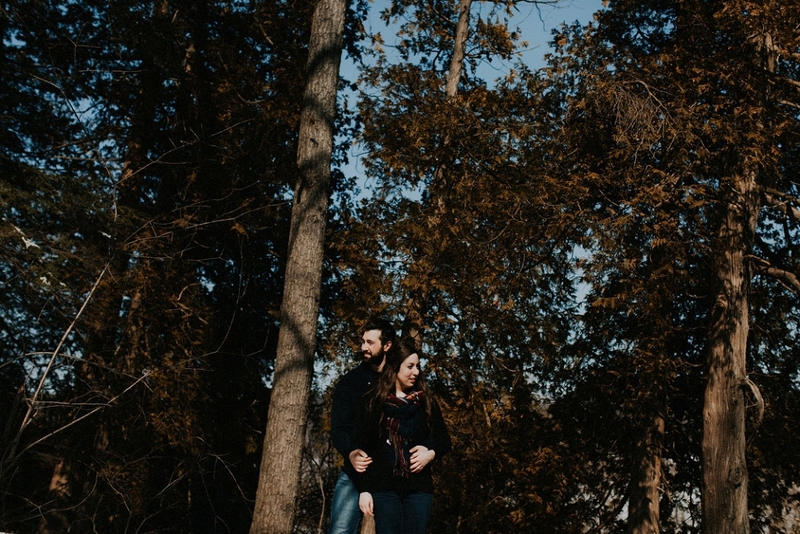 and it gives my couples the opportunity to get some photo-taking gitters out. 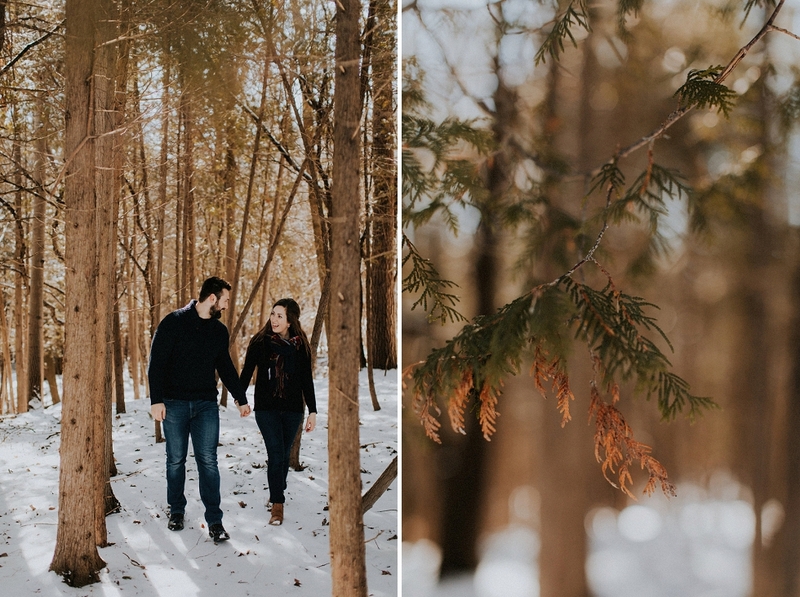 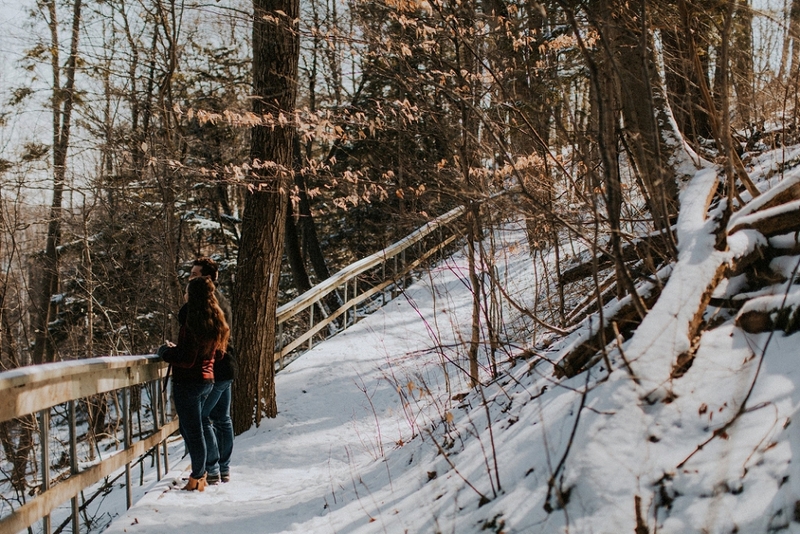 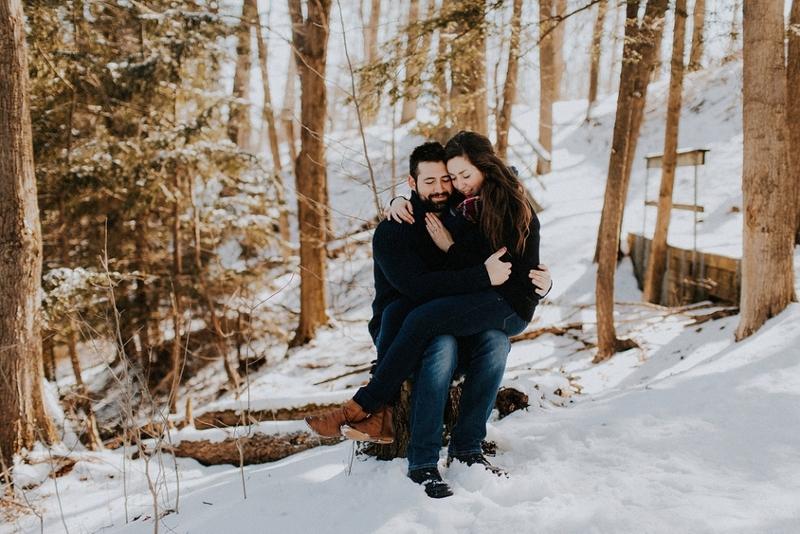 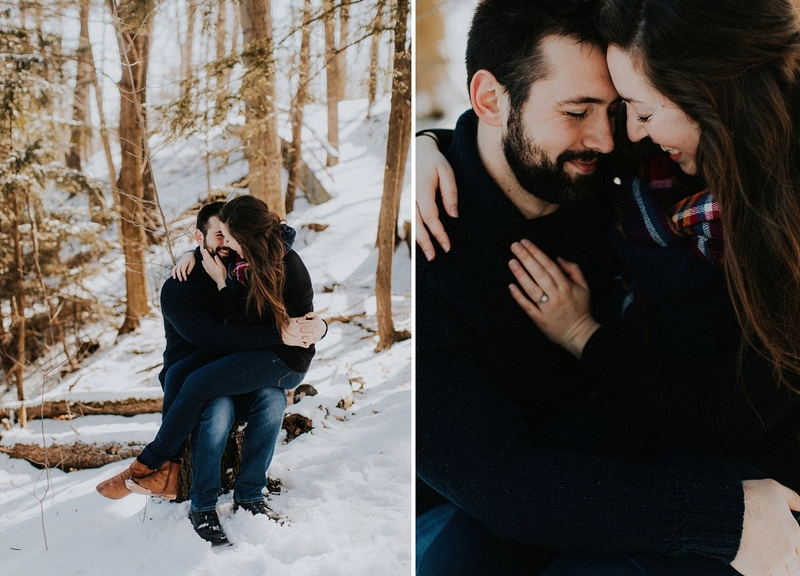 By total surprise to me, Jenni messaged me on a Monday about doing a session (“I finally convinced Cody!”) and that Sunday we headed out to explore the Homer Watson Trail in Kitchener. 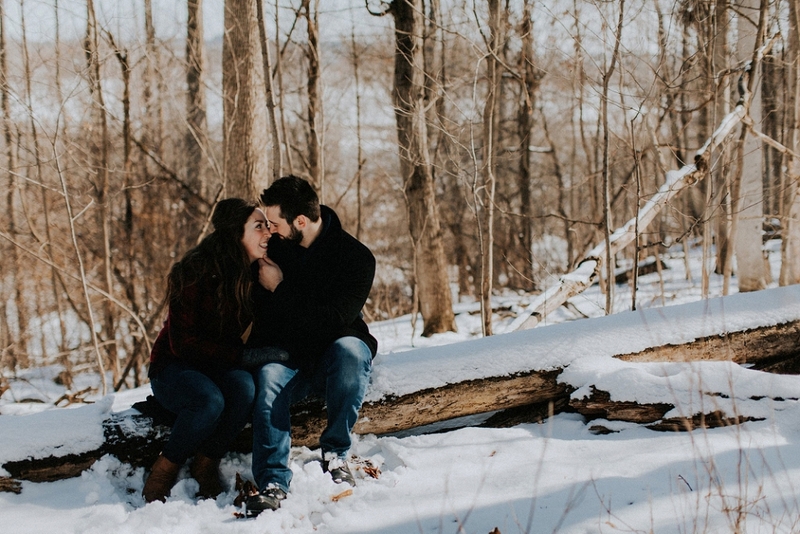 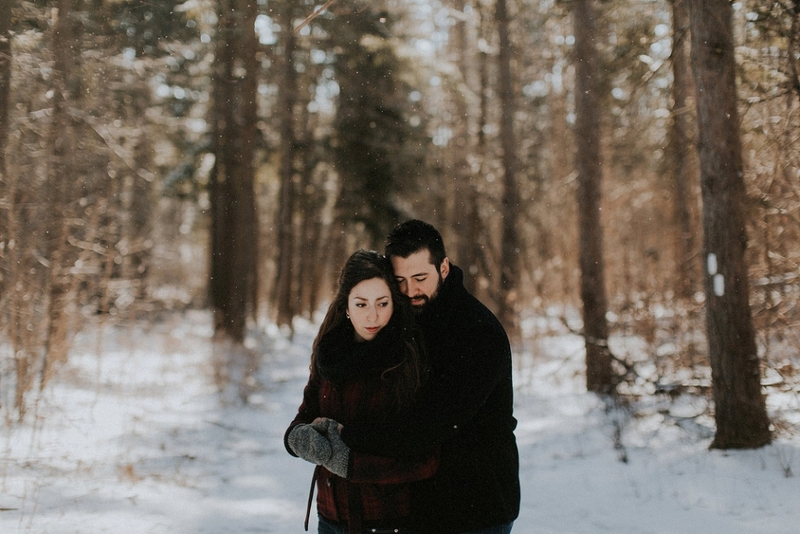 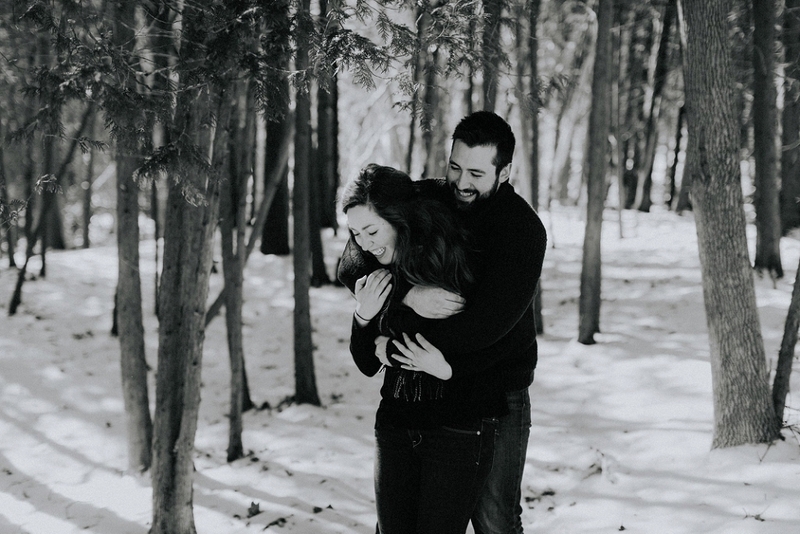 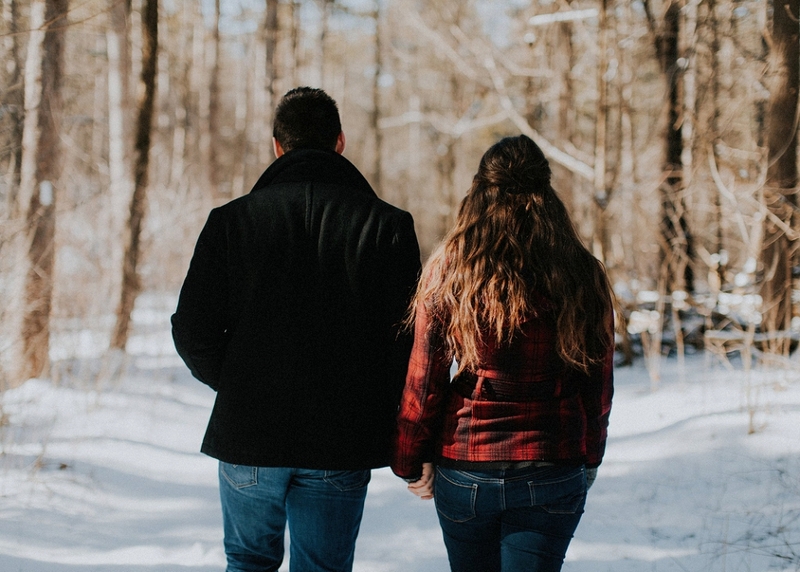 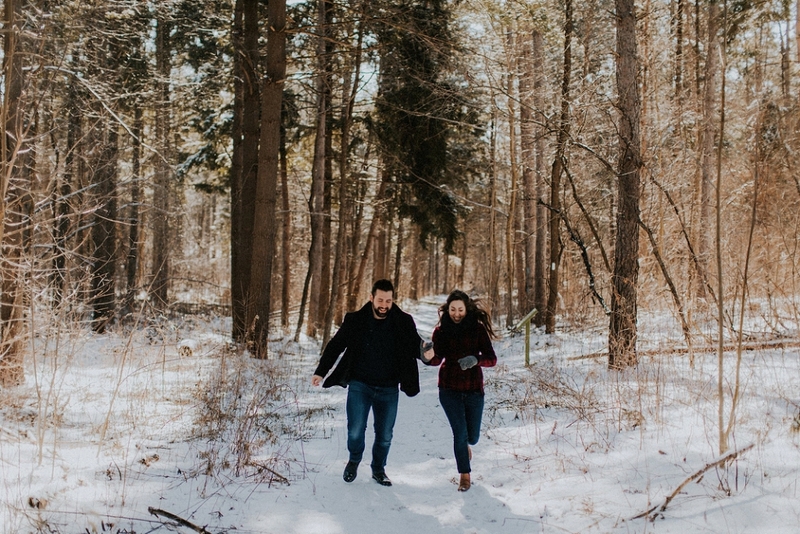 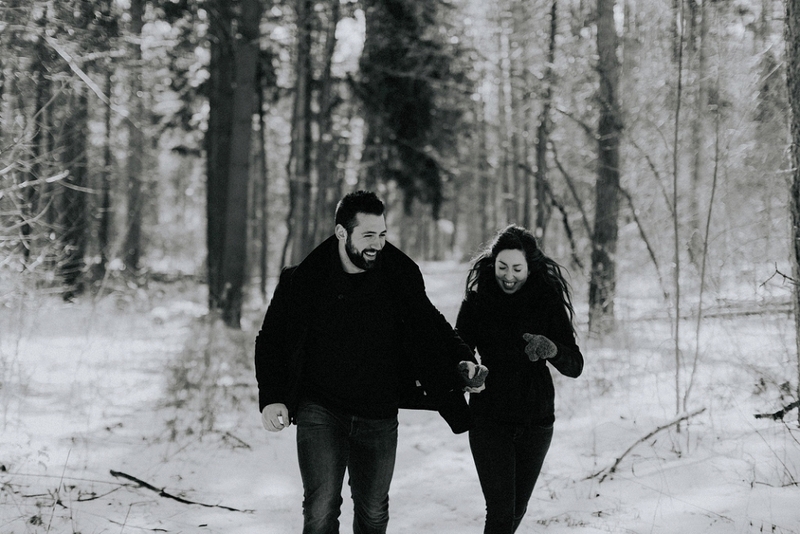 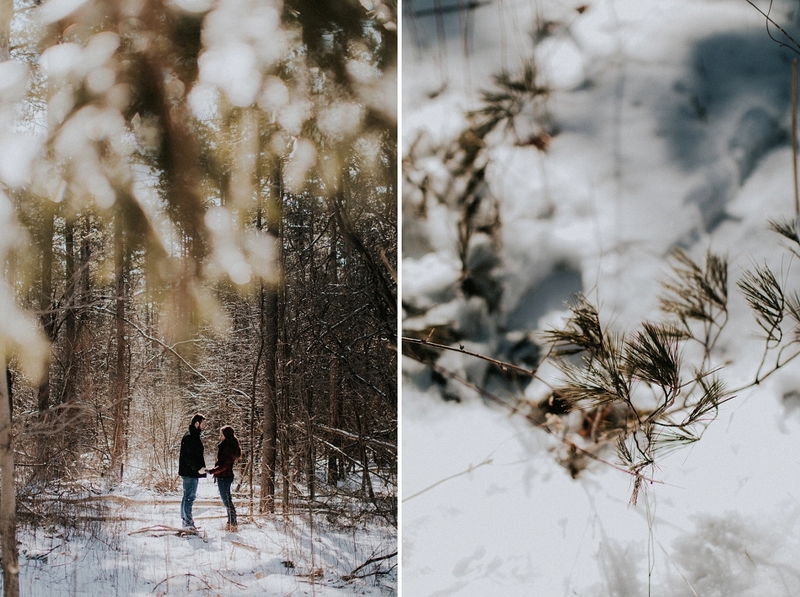 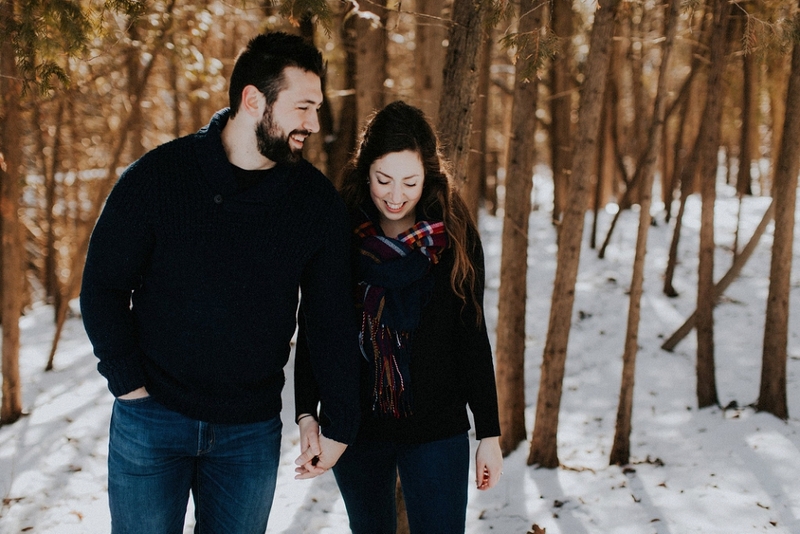 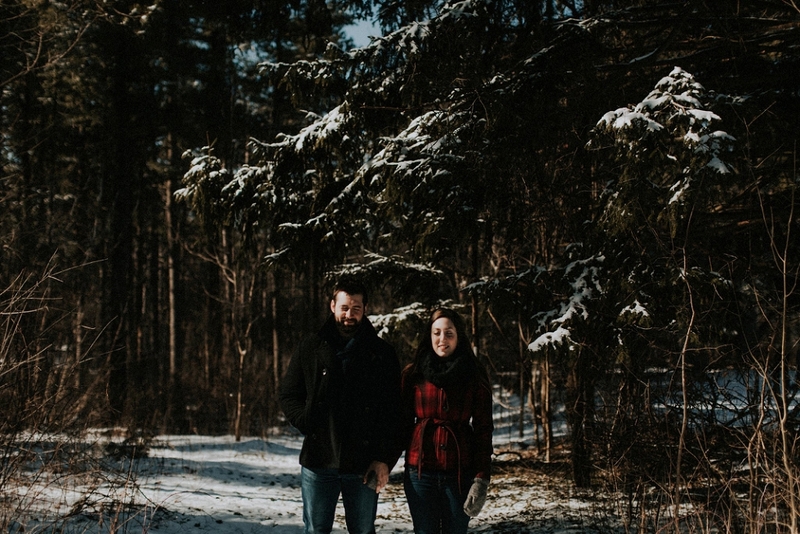 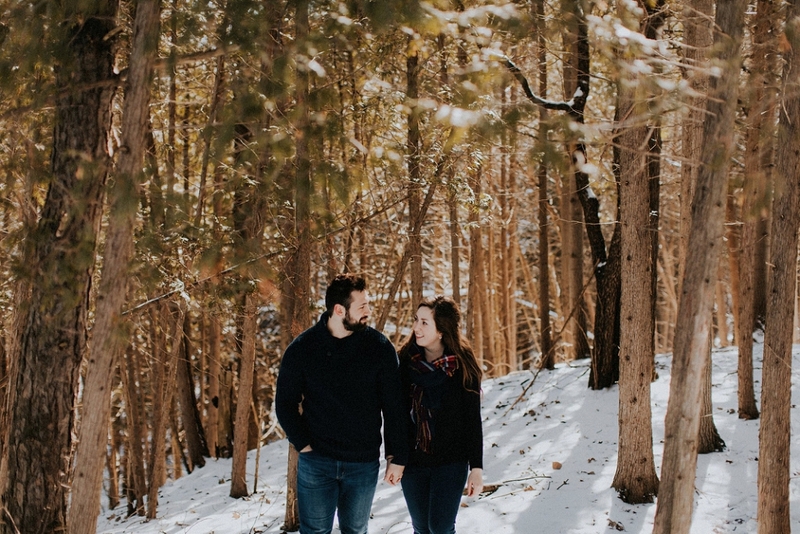 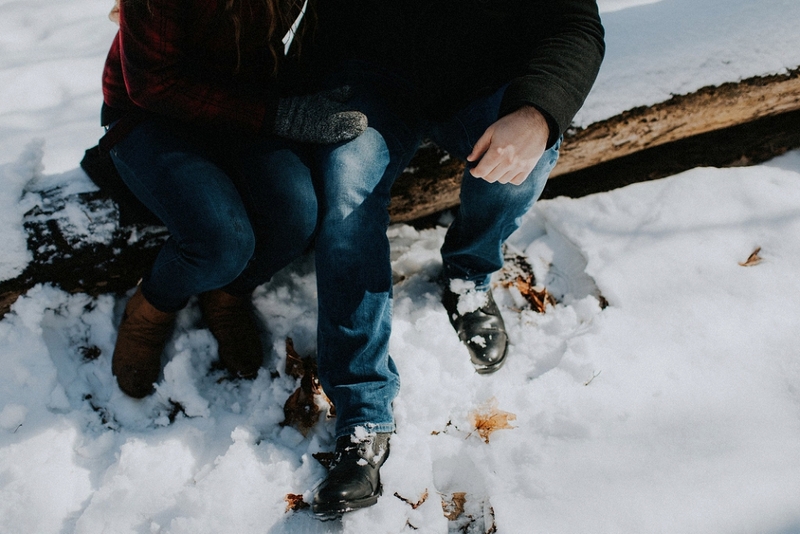 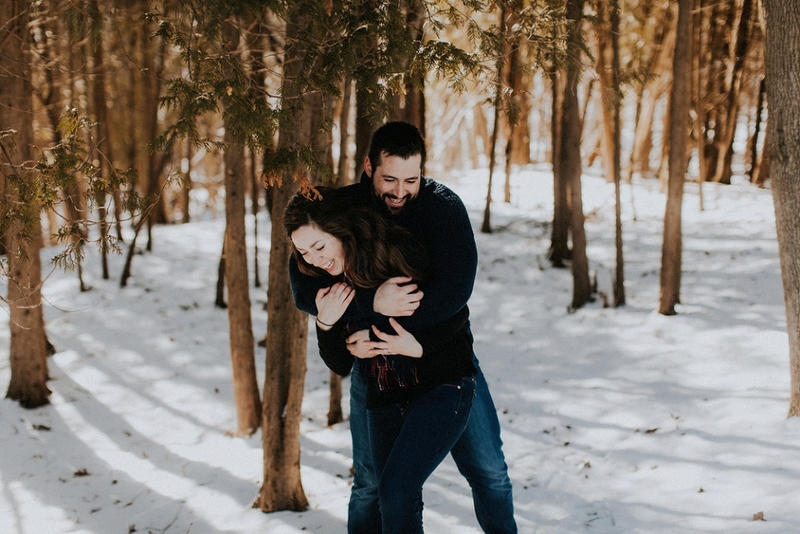 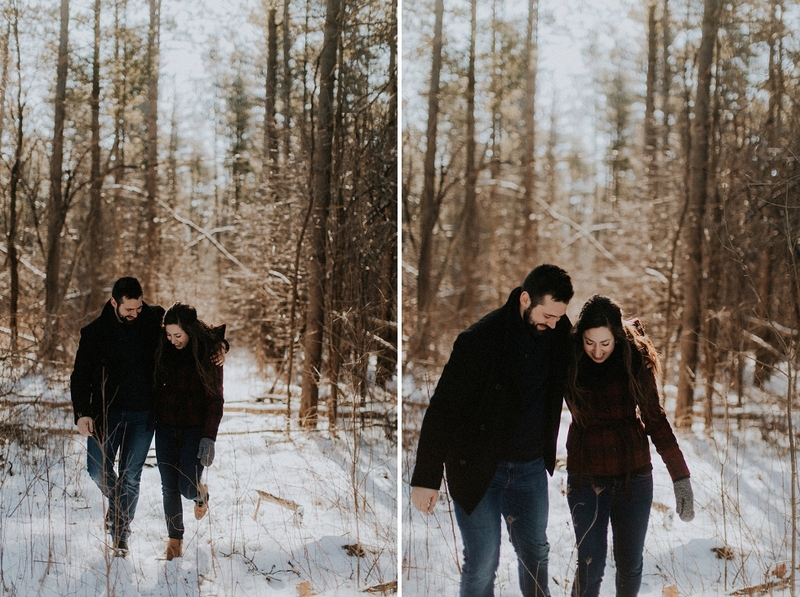 Jenni + Cody decided that, if possible, they’d like to aim for winter photos (because really, snow makes an incredible backdrop!) 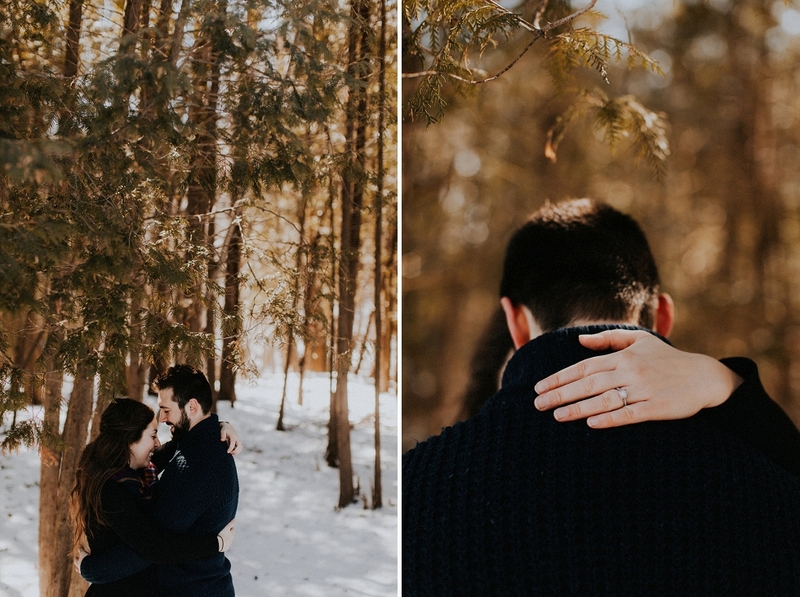 and I can’t even express how lucky we got; by the time I got back to our home in downtown Kitchener after their shoot, the snow had melted off our lawn, and I haven’t seen it back since.